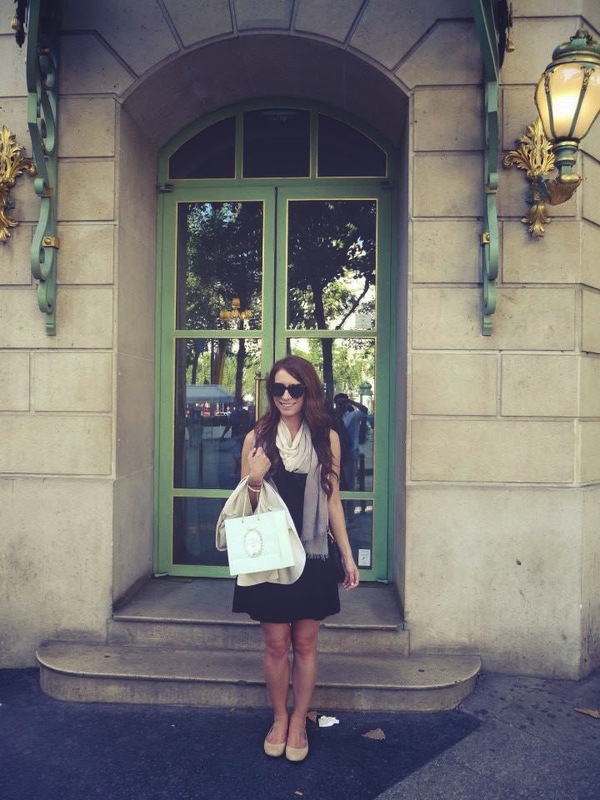 Paris Getaway: What to Pack and Wear in Paris | La Petite Noob | A Toronto-Based Fashion and Lifestyle Blog. This is not just a stereotype - you will notice lots of simple black dresses, tailored black slacks or modest black skirts paired with a striped top. You really cannot go wrong with black, keeping all packed items simple and tailored. This is not to abolish all colour from your suitcase - stick to one colour to add an accent to your outfits (both red and orange seemed to be the most popular with Parisian women when I last visited.) Keeping all items in your suitcase in a dark colour scheme, mostly solids with a few striped prints, and one or two colours for accent pieces will not only help to blend you in with the Paris locals, but will also make packing and outfit co-ordinating a breeze. Make sure to include two or three scarves in your suitcase. The time of year you're travelling to Paris will dictate the material the scarves should be - think light silk or cotton in the summer, heavier linen or cotton for the spring and fall, and thick wools for the winter. Scarves are not only essential to Parisian style (honestly - it seems like every woman in Paris is wearing one sometimes), instrumental in outfit selection when working from a suitcase (a simple black dress can work for a number of days if you change your scarf) but are also extremely practical for the temperamental weather of Paris. During our week-long stay in early September, the weather would be absolutely frigid in the mornings, warm considerably in the afternoons and then dip into the colder temperatures in the evenings. Even a light scarf can make it so you're not shivering through your morning espresso. For the exact reasons listed above. Paris weather truly does have a mind of it's own and just because it's scorching hot in the afternoons doesn't mean that you won't be freezing once nighttime hits. A couple sweaters thrown into the suitcase can remedy this - I would recommend a light cardigan as well as heavier pullover. 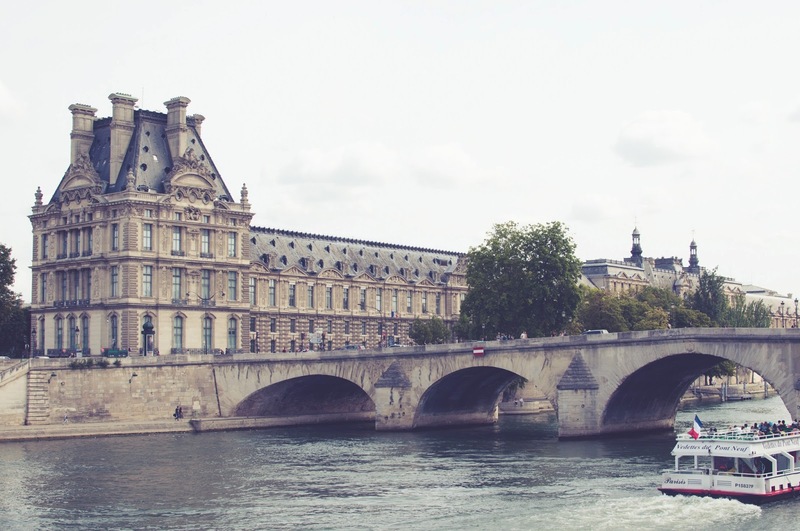 Obviously, should your Paris travel plans run over the course of winter then your suitcase will consist of mainly sweaters, but consider taking a few even in the spring and summer months. I was absolutely shocked by the number of Longchamp 'Le Pliage' bags I saw on the streets of Paris. Looking back now, it makes total sense - these bags are durable, light, waterproof and above all have a zipper. Pick pockets in Paris, as in most major European cities, are no laughing matter and are very much active in most tourist attractions and public transit. The Longchamp 'Le Pliage' bag not only has a zipper, but also a small leather flap and buckle over top of the zipper for further protection. You could purchase one ahead of time or, seeing as it is a french luxury brand, visit their store in Paris proper and purchase one there (12 Rue Saint-Florentin, Paris, France). A practical tote for your trip and also a beautiful souvenir afterwards. Did I mention that the weather in Paris has a mind of it's own? Sunny one moment, raining another - do yourself a favour and pack a travel sized umbrella and keep it with you at all times. You're welcome. You are in Paris, you will be walking - a lot. With so much to see and do, you will find yourself on your feet for the majority of the day. A few good pairs of flats, in a soft leather and already broken in will rescue your throbbing feet while still staying within the Parisian dress-code. Resist the urge to pack heels - I can tell you that I packed my most comfortable pair of heels with good intentions and never even used them once, wasting valuable real-estate in my suitcase. Even in the most elegant of restaurants, a simple pair of flats will do just fine - in fact, my entire week in Paris I only saw one woman braving the cobblestones in 5 inch heels, which just screamed 'tourist'. Same goes for any thoughts of running shoes or flip flops - unless you want poor treatment and to experience the famous 'Paris attitude,' just don't - stick to flats. Do not even think about wearing shorts in Paris. I made the mistake of taking to the streets of Paris in short-shorts and flip flops during a Euro-trip in my early twenties and still remember the cold stares and attitude I received. I have since forgiven myself for the honest mistake (hey - I was twenty three and "finding myself"), but the lesson learned was invaluable. 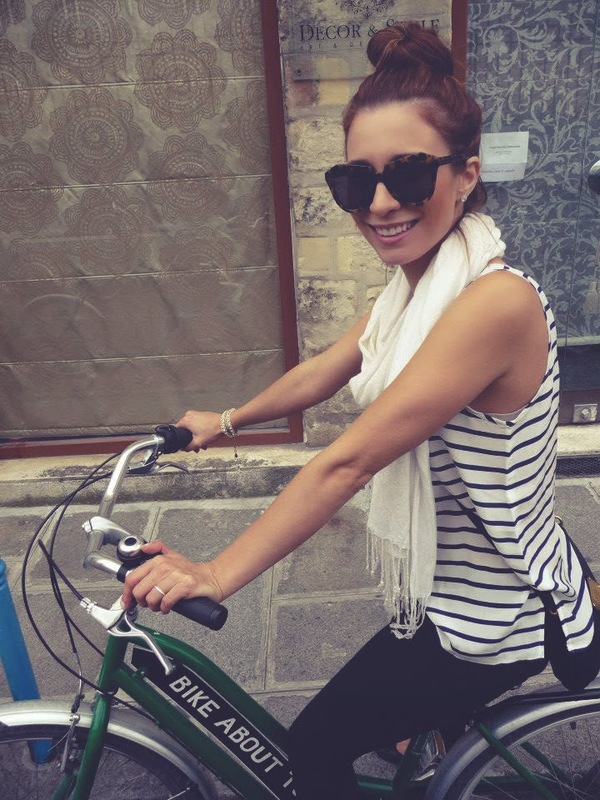 Parisians appreciate modesty, and shorts don't fit the bill. The same goes for flip flops, looked at in Paris as sloppy and gives you a tourist bull's eye. The no-short rule also applies to your male travel companions. Save the shorts and flip flops for the cottage - don't bring them to Paris. And so concludes my list of essentials for travelling to Paris. Please let me know if I'm missing anything - talking packing lists is one of my favourite things to do. 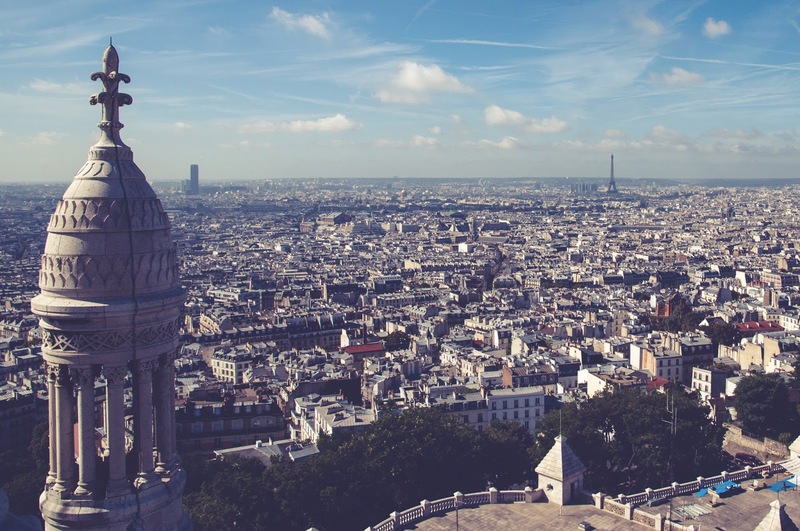 If you're reading this in preparation for a trip to Paris then consider me jealous. My last piece of advice is to take a time-out from the manic sight-seeing of all Paris has to offer to really savour the moment. 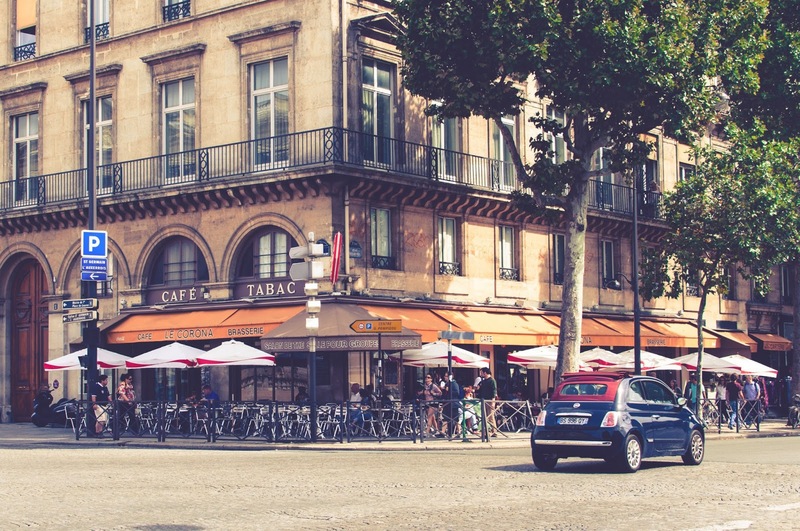 Eat pastries from a corner boulangerie, drink espresso at a crowded bar top or people watch from a shaded patio. 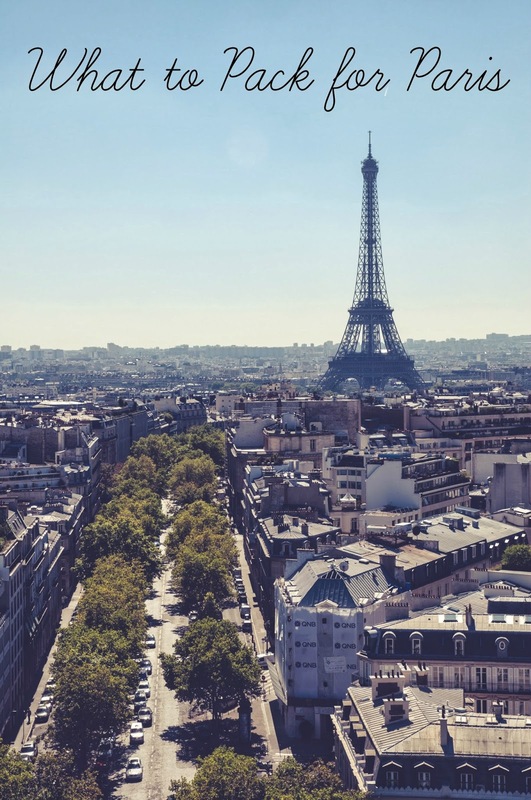 Whatever you find yourself doing in Paris, remember to stop and really appreciate the moment - before long you will find yourself on a plane ride home and already dreaming of your next trip to this magical city. Oh wow, Paris in the summer is so beautiful. Consider me jealous, I can't wait to go back! I'm so glad you found this post helpful and yes - no shorts!! Love this - I'm glad you sent it my way earlier! I will now be wearing my Le Pliage bag with pride, and have never been more thankful that I have a closet that consists mainly of dark neutrals. You give honest and wonderful advice! Thank you Allison! 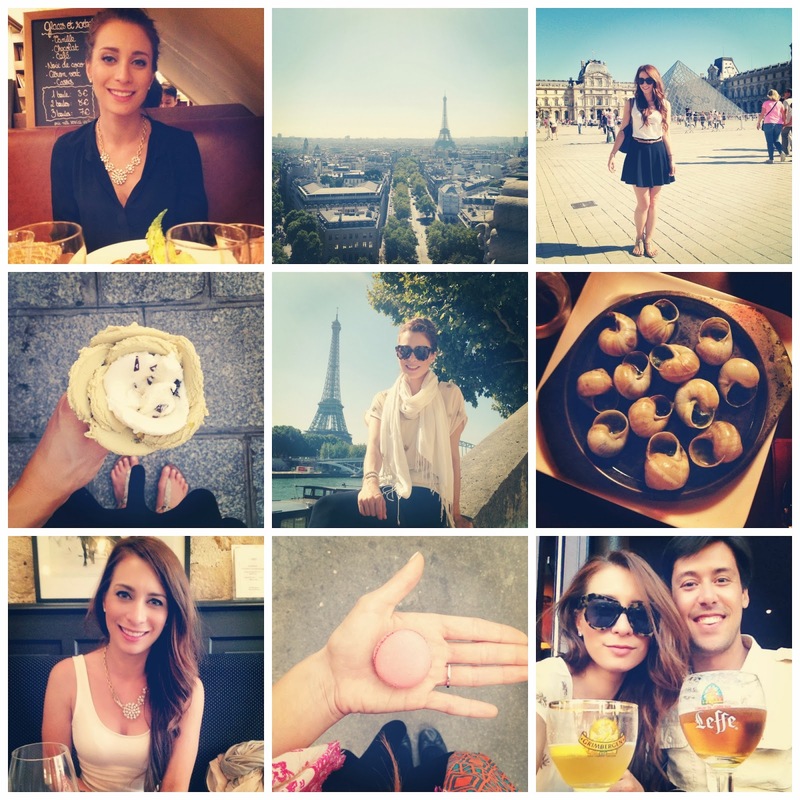 You guys will have a great time in Paris, and I hope you post lots of photos on the blog! Love it! Thank you for the clever tips. I totally agree with them flip flops and shorts belongs to the beach not the city! Going to Paris with my daughter. Any tips on not too miss places? Any tips for Barcelona too? Thank you and love your writing style! I'm so happy that you found this post helpful, Sophia. Have a great time in France! Ugh! My whole comment was deleted. Here goes again. This is the best blog post I've read on this topic. Most blogs are recommending all the wrong things. This how I packed for our trip to England and Italy last year, mostly neutrals with a pop of color, like a scarf. 1. Shoes. This is my struggle. I have very tender feet. It is the part that I really feel like I have to sacrifice bc I don't want my trip ruined by painful feet. Last year I took some red Clark's sandals that were ok looking but pretty comfortable, and a pair of Teva sandals that were also ok looking. Cuter than your average Tevas, but still Tevas. I also took a pair of black flats for dinner. No way could I have worn those particular ones all day. If I were to wear regular flats all day, I would be in tears by dinner time. Just not worth it for me. If I could find some super comfy black blacks, that would be ideal. I need super awesome cushioning. Suggestions? 2. If you could only bring back one souvenir, what would it be? In England I got an antique copper tea kettle. In Italy I got a great leather bag in Florence, a pair of earrings in Murano, some olive wood kitchen utensils in Tuscany. I want to be on the look out for something that says, "I went to France" when I look at it. 3. The forecast says early August is high 70s/low 80s. Is that true? That seems really cool for that time of year in Europe. When we went to Greece in August it was scorching. Even Rome at the end of September was really warm. 4. Do you recommend cardigans or lightweight pullover sweaters? 5. Some recommend a trench coat for rain. It seems pretty warm to wear a trench coat. If yes, what color? Tan? Black? double or single breasted? Hood or not? 6. Should I take scarves with me or buy some there to wear and bring home? 7. Would a Longchamps bag be less expensive here or there? 8. I carried a Bagallini black nylon crossbody bag on our last trip and loved the pockets, the size and the safety of it. Is that awful? 9. Would nice, ankle length, dark , straight leg jeans (J Crew matchstick) be a no no? hello April - did you ever get a reply? your questions read like EXACTLY what I would be asking!! Hello! thanks for your advice! Would you say this applies to southern Spain as well? I have red hair and am trying to find ways to blend in as much as possible while I'm there this coming summer! It's also good to know that shorts and flip-flops are Paris-inappropriate. I grew up in tropical countries (Manila and Singapore) and around beautiful beaches so these two are my most comfortable outfit. Hihi! I may need to shop for basics before Paris! You look so cute in the photos and I'm loving your sunnies. Where are they from? Nothing can be better than Paris for going on a vacation. Great article! Will keep this in mind, all your tips for my visit to Paris this April. Great article. I've never been to Paris and would never have guessed that shorts and flip flops are a faux pas - good to know. Those outfit looks great and as guy I often appreciate more flats worn with style and knowledge than heels. I have to differ about guys not wearing shorts in Paris, I'm sure they do and I'd be one of them, but hey, I'll wear them with style, not slobbishly, both with shoes and leather sandals (not flip flops!). I just came back from Paris 3 days ago. I followed your advice, no shorts, didn't bring heels. My ballets flats became unbearable to wear with all the walking! I also brought a pair of skechers flats (but not the gym shoes type), which also hurt my feet after a day of walking. I ended up buying a pair of gym shoes there, and then I can walk all day wearing those. And I didn't feel I got a poor treatment for wearing gym shoes:) I've seen a lot of ladies wearing sneakers/gym shoes. You were right about flip-flops and shorts, I probably saw one or two wearing shorts and flip-flops. Even the local teenage girls wear jeans and flats, no shorts. And I only saw 2 women in my whole week in Paris wearing a scarf, and I didn't get to wear mine because it was warm, 70's to 80's. But a lot of women were wearing dark blouses or shirt. Don't forget to bring an umbrella. Rissa you are so right about ballets - they have nothing between your foot and the pavement except a thin piece of leather sole! I can't wear them for any extended walking. Since I am miserable if my feet hurt, I end up wearing European walking shoes with the "minimalist" socks (show above the shoe but not much). I get blisters on my toes and Achilles tendon area very easily, so socks are a necessity. Ah well, I am not there to teach the Parisians about fashion! and when I go out to a nice restaurant or other occasion, I am not going to walk for miles and I can wear a dressy shoe for just those hours. It means packing one more pair of shoes but that is just what has to happen! Great post with useful information. 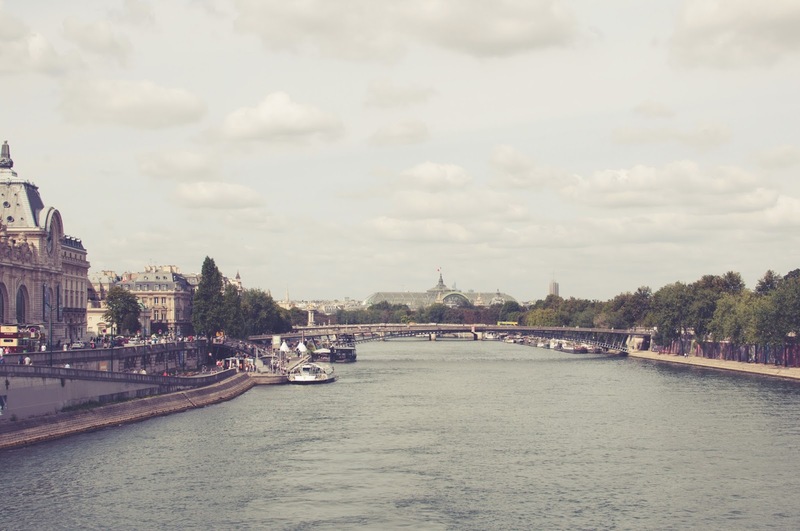 My sister is going to Paris nest year, so this post is very helpful for me.Thanks for sharing the information. wow! thanks so much for the tips. I'm leaving on the 22nd of September to arrive on my 64th birthday! It's a girlfriend trip with two of my gradeschool friends. Great tips. I'm going to buy my Longchamps in Paris (my girls all have one). I am packing my Tieks which are Italian leather shoes that are incredibly comfortable. I have black, taupe and light pink Tieks. So comfortable that I had them on the wrong feet in a rush to go to our youngest DD's graduation a year ago and didn't notice any discomfort all day. Felt silly when I finally discovered them on the wrong feet! And I have terrible feet (3 bunion surgeries). I also just discovered Rothy's shoes. They are made out of recycled water bottles and are washable. And not as expensive as Tieks. I love the red pair i just bought no am definitely taking them to Paris. We are going to Venice for a week after Paris. Wondering what you would recommend for guys. My boyfriend and I are going in May. He wears only jeans, tee-shirts and a hat. I think as long as the jeans are well-fitted then he'll be fine!